Ganesh Chaturthi is a day full of positive powers which attracts knowledge and a progressive future. Worshiping Lord Ganesha by abiding strictly to the Ganesh Chaturthi Puja rituals and procedures is highly recommended to every Hindu. We have mentioned below the procedures to be followed for the 11 days celebration of Ganesh Chaturthi. The Lord is worshiped during Ganesh Chaturthi Puja in a special way for a day and a half, 3 days, 5 days, 7 days or 11 days depending on the family tradition and commitment of each individual in Ganesh Chaturthi. This Ganesh Chaturthi Puja varies from place to place. 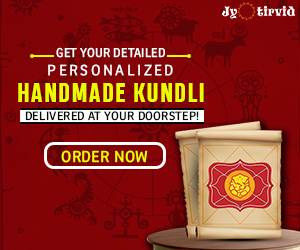 Bring the idol home: It is known as the Shubh, Labh or Amrit Choghadiya. If you intend to bring Ganpati ji one day before, i.e. on the 12th September 2018, the Shubh time is between 06:25 to 07:59 and the Labh time is 12:41 to 14:14. Ganpati ji can also be brought home during the Amrit time which is between 14:14 to 15:48. The puja vidhi starts with invoking life in the idol that is called the ‘Pranapratishtha’. This ritual is followed during Ganesh Chaturthi by the ‘Shhodashopachara’ which includes the 16 ways of paying respect to Lord Ganesha. Authentic delicacies are prepared that include coconut, jaggery, rice flour sweets and much more in the course of Ganesh Chaturthi. A red sandal paste is applied to the God as well. 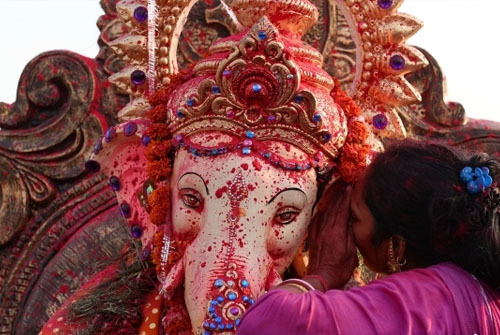 The Ganesh Chaturthi Puja involves the chanting of hymns from the Ganapati Atharva Shirsha Upanishad, Rig Veda, and other religious scriptures. 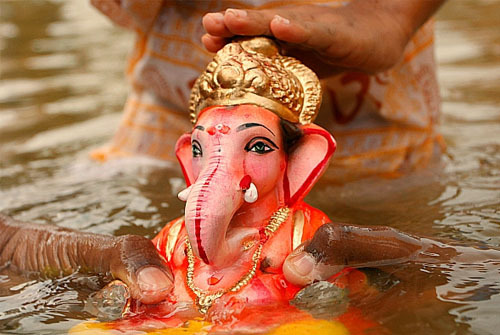 This continues for 10 days of Ganesh Chaturthi, and on the 11th day, the idol of Ganesha is immersed in a holy water body. The devotees celebrate by singing and dancing to the tunes of Lord Ganesha’s music at the time of Ganesh Chaturthi Puja. Temples also become over crowded on Ganesh Chaturthi Puja and people come from far off places to show their love and devotion for the Lord. It is advised to avoid looking at the moon on this auspicious day- Ganesh Chaturthi as it is said to impart negative energies and be inauspicious. Ganesh Chaturthi is one of the most favourable festivals to revere Lord Ganesha for 11 days. Ganesh Chaturthi Puja should be performed on special Muhurat. 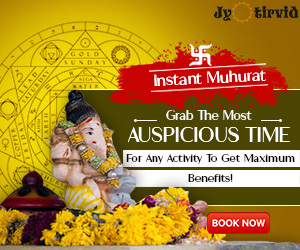 Get the most authentic Shubh Muhurat for these festive days from Jyotirvid and let Little Ganesha shower blessings on you on his birthday- Ganesha Chaturthi. Ganesh Chaturthi 2018 – The 11 Days Celebration! Next articleInter Caste Marriage valid or not! Explained by Bhagavad Gita.